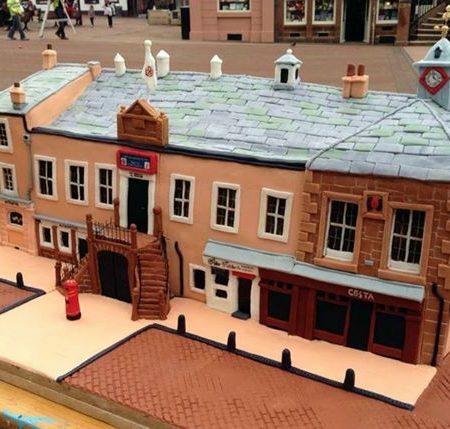 A joint effort which took four days live in Carlisle town centre to create. Helped by Lara Clarke and Mhairi Graham. Always use ganache instead of buttercream!